The seasonal ‘flu epidemic in France is the most serious of recent years, with more than 1,000 people having already died, and two strains of the virus appearing largely resistant to the ‘flu vaccination. An epidemic has been declared in all regions of mainland France. More than 1,100 people have died so far this winter, according to the weekly bulletin from health agency Santé Publique France (SPF). All figures from medical sources - such as the number of doctor appointments, and admissions to hospital - suggest that the ‘flu virus is still spreading, and may be worsening. More than 12,000 ‘flu patients were seen by emergency medical services across the country last week, with 1,823 being hospitalised due to their condition - a rise of 70% compared to the week before, according to figures from the French emergency department network Oscour. Most hospitalisations are among people aged over 75 (43%) or children under five (15%), but this still marks around 3% of people with ‘flu being hospitalised, a rise from the 1.8% seen the week before. Among those to have died from the condition, most are aged over 65. Despite vaccinations against the ‘flu having been rising in recent years, two strains in particular appear to be especially virulent. Yet, figures from late last year show that just 42.9% of people who were eligible for a free vaccination had taken up the offer. According to SPF, the vaccine has been deemed of “moderate” protection (59%) against the A(H1N1) virus, and of “slight” protection (19%) against the A(H3N2). Although it is now too late to have a ‘flu vaccination this year, the Direction Générale de la Santé has issued advice for anyone who comes down with the illness. 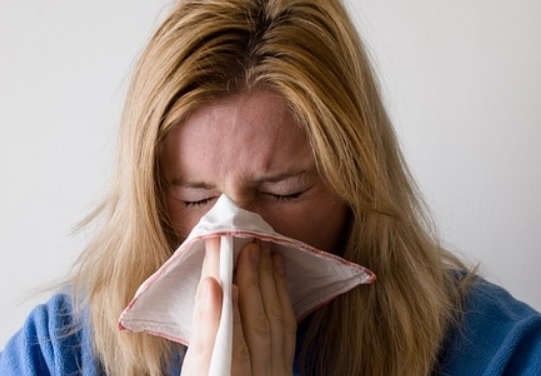 Most people will not need to go to the doctor if they have ‘flu, and should instead stay at home to rest, making sure to drink enough water, and take regular paracetamol. You should only go to the doctor if your condition suddenly gets worse, if you are pregnant, if your baby has ‘flu, if your temperature rises above 40°C, or if you have serious problems such as difficulty breathing, passing out, or coughing up blood, or if you know you are immuno-compromised. Certain measures to avoid the ‘flu or stop it spreading may help, such as regular hand-washing, using a tissue only once, wearing a disposable mask over your nose and mouth, or avoiding contact with people who are especially young or old. Pregnant women, or those with compromised immune systems, should also be especially careful.